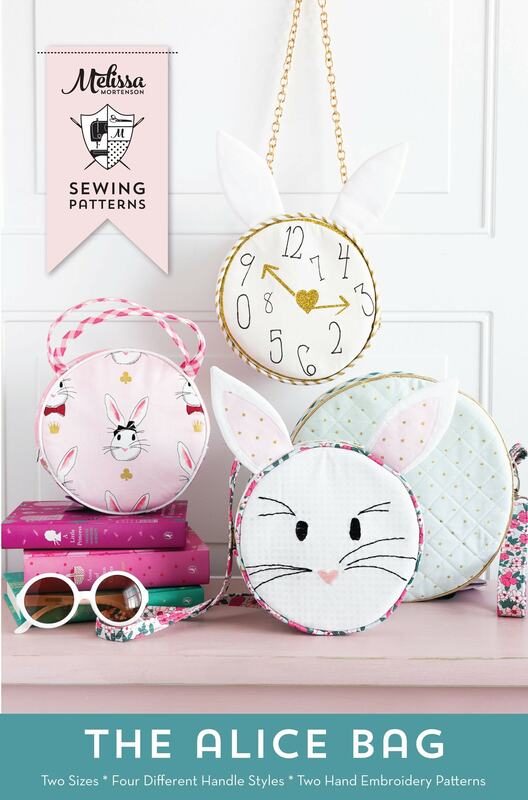 Today I’m ecstatic to be launching a new sewing pattern. 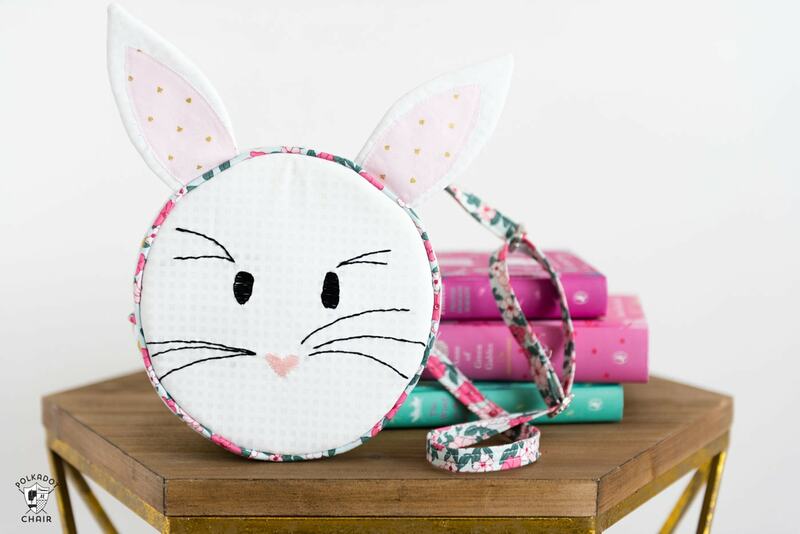 The Alice Bag Sewing Pattern! It’s something that I’ve been working on for several months now and hope that you guys love it as much as I do! 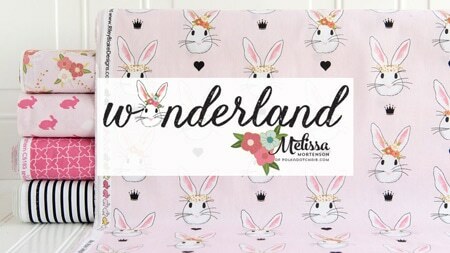 Before we start talking about the Alice Bag pattern, I’m so happy to share with you the project for week #2 of the Wonderland Two Blog Tour! 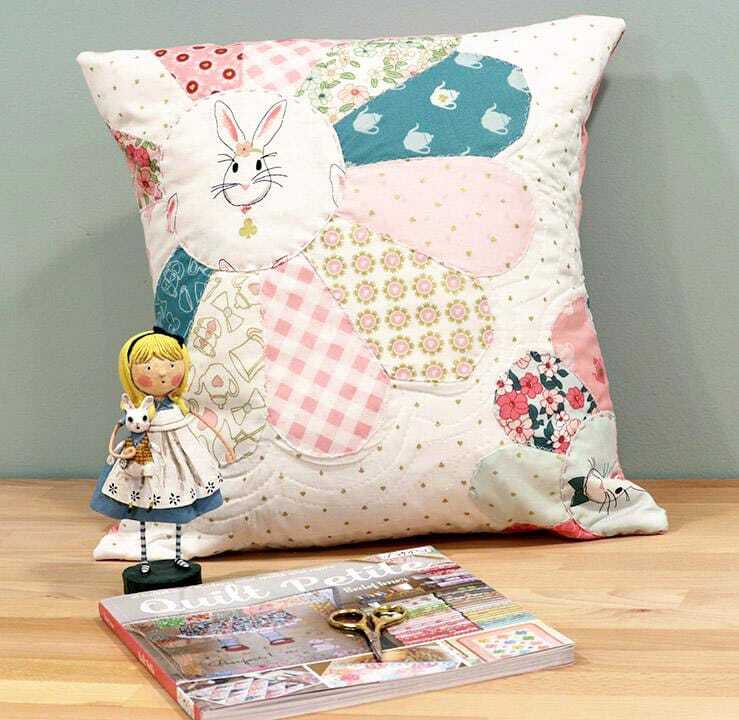 This week, Shari from Doohikey Designs is showing us how she made this adorable pillow! 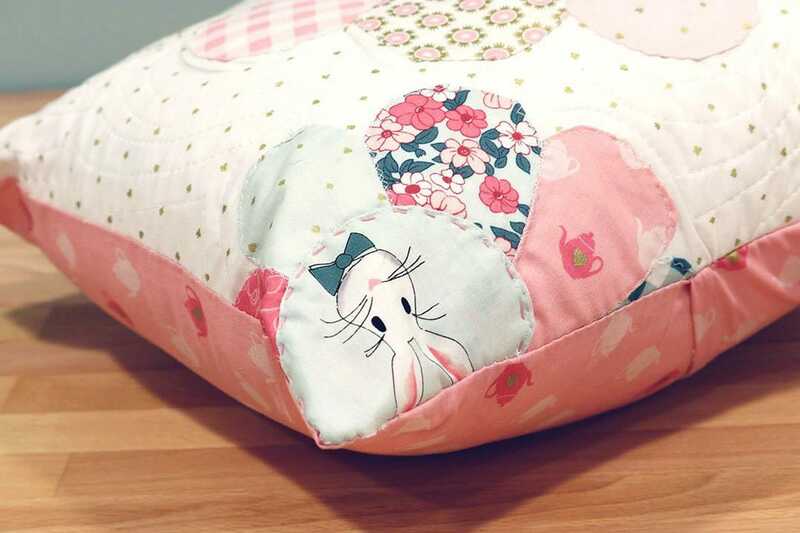 I love how she fussy cut the bunny for the center of the pillow and all of the amazing details that she created with embroidery. 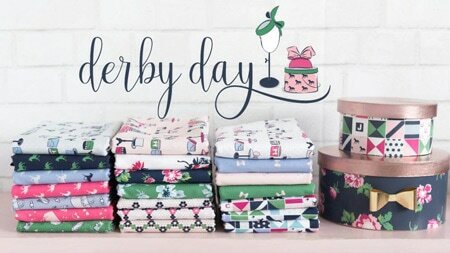 Shari is a fellow Riley Blake Fabrics Designer and was my “booth mate” at Quilt Market in Salt Lake City last May! She’s amazingly talented and even nicer in real life than you can imagine! 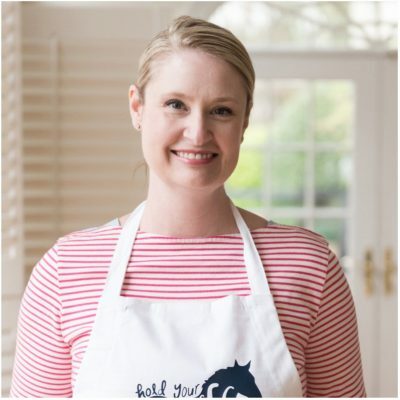 Hop on over to her blog to read all about the pillow that she made! 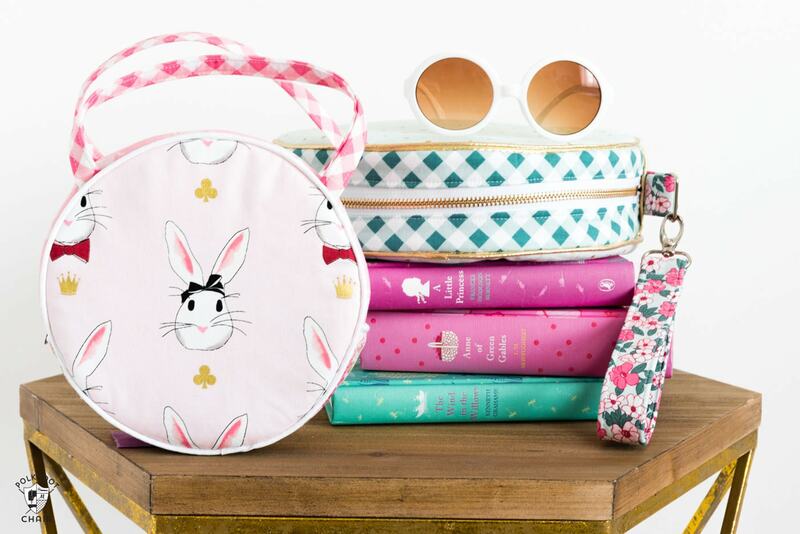 Now let’s chat about the Alice Bag!! It all started because last Fall we made plans to attend Disney World’s Mickey’s Not So Scary Halloween Party. 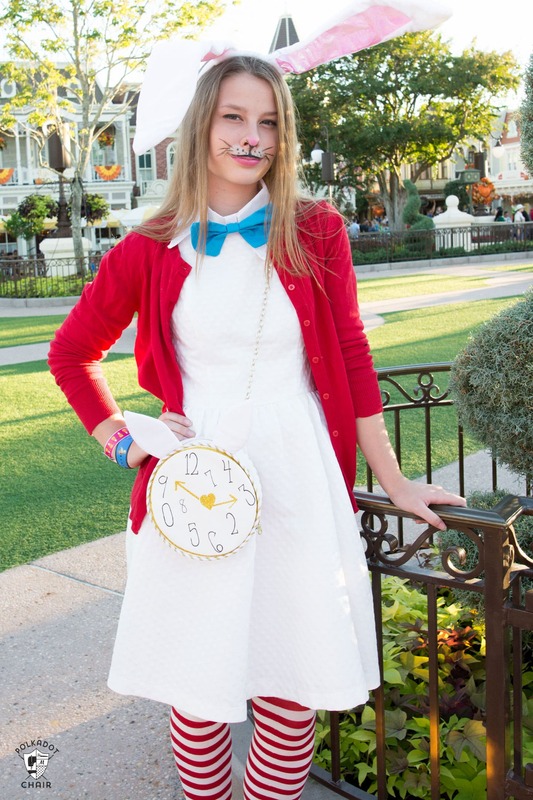 I had decided (and remarkably everyone agreed) to go as characters from Alice in Wonderland. You can see all of our costumes by CLICKING HERE. 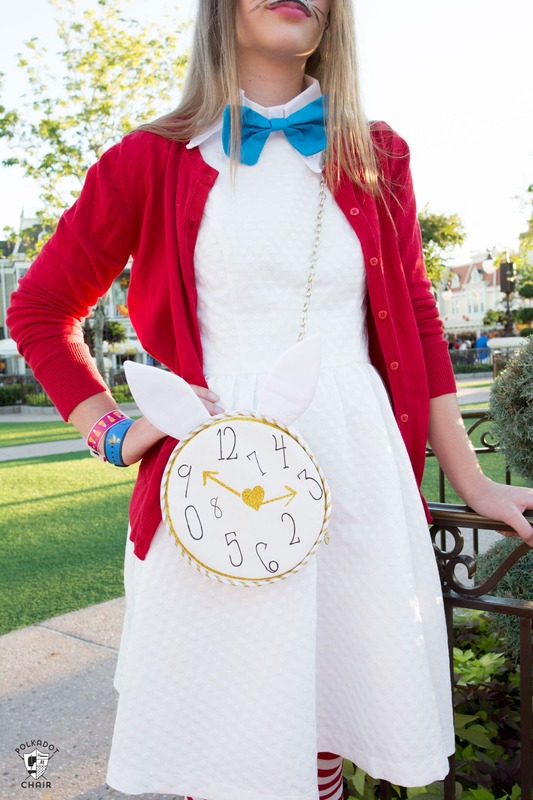 My daughter wanted to go as the white rabbit, and what does the white rabbit carry? A clock! 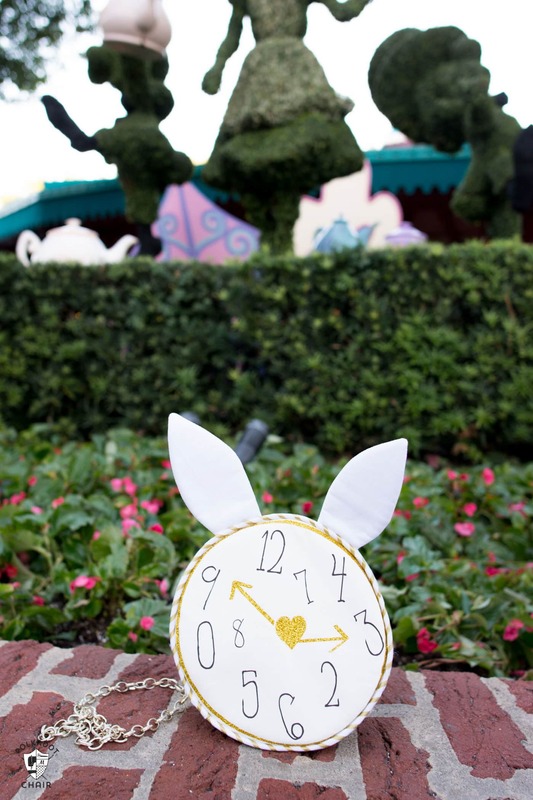 Well the thought of carrying a giant clock around Disney all night with her didn’t seem like quite a great idea, so I decided to make her a purse instead! 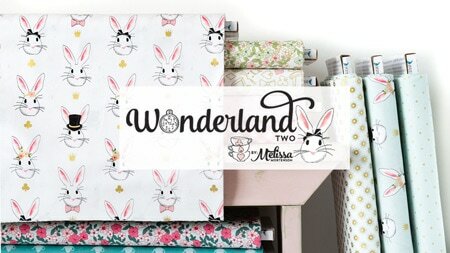 I used an image from my Wonderland Two fabric line for the front of the bag, and printed it at home with printable fabric. To jazz it up a bit I added some iron on vinyl to the front. Also since I can’t ever leave well enough alone, I added bunny ears for a bit of extra whimsy. 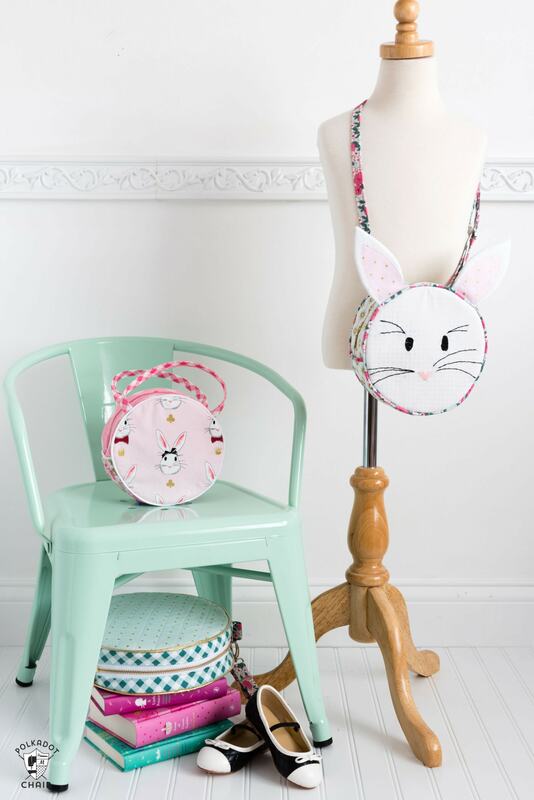 After I finished that bag, I got lots of other ideas for similar bags and the Alice Bag was born! 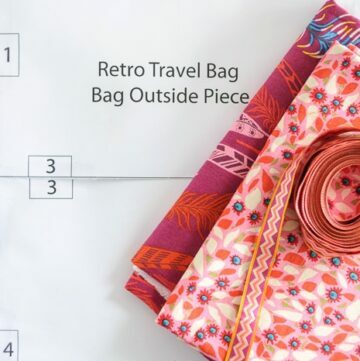 I’ve spent the last few months perfecting the pattern and adding new options. Every time I would think I was done with it I’d add another element or view. So let me tell you about the bag! 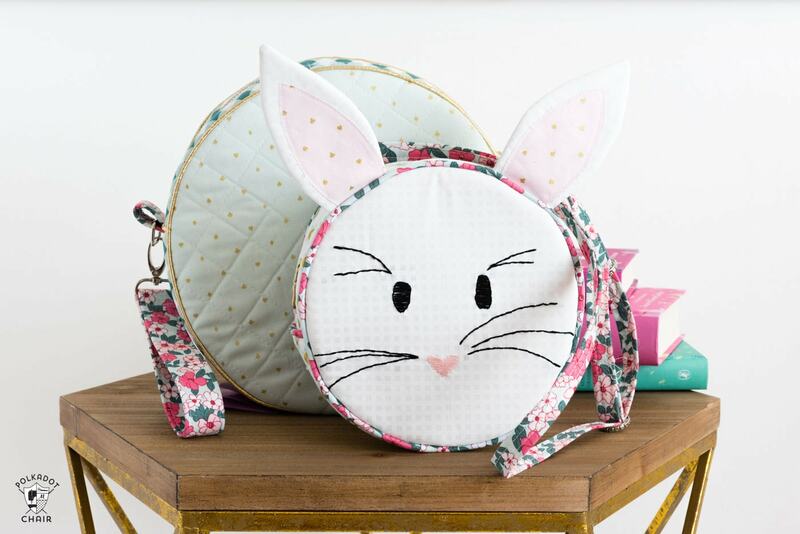 The Alice Bag Handbag Sewing Pattern is a whimsical and versatile purse sewing pattern that can be made in two different sizes with 4 different handle styles. -Quilted or Non Quilted Exterior. 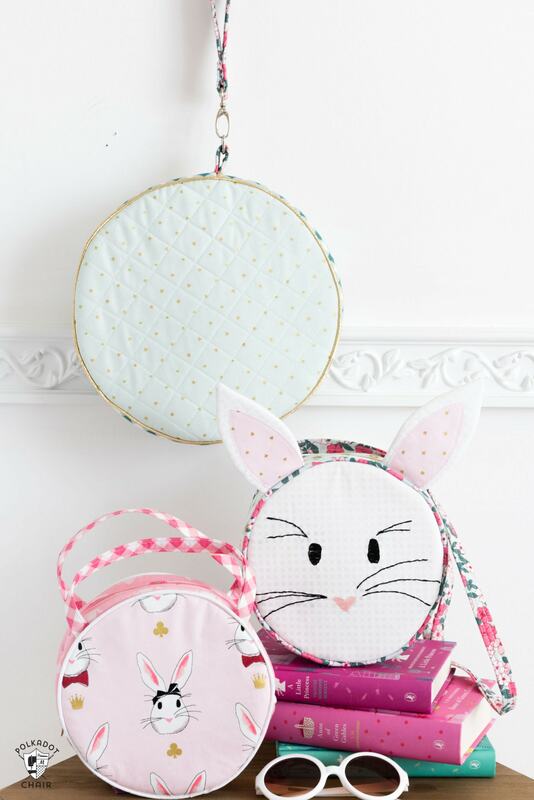 -Option to create the Bunny Face or Clock Face bag front with either hand embroidery or by printing the image on printable fabric with the included patterns and printables! -The bag is fully lined. 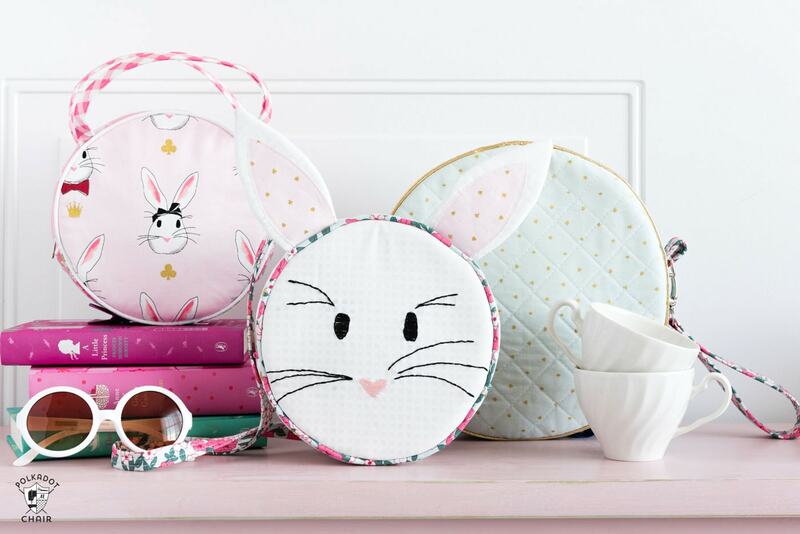 -The pattern includes 15 pages of instructions (with full color photos) and printable full size pattern pieces! 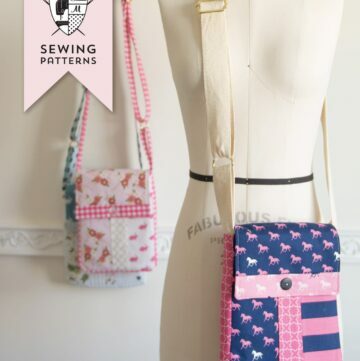 Here are a few other photos of the finished bags and handle styles! 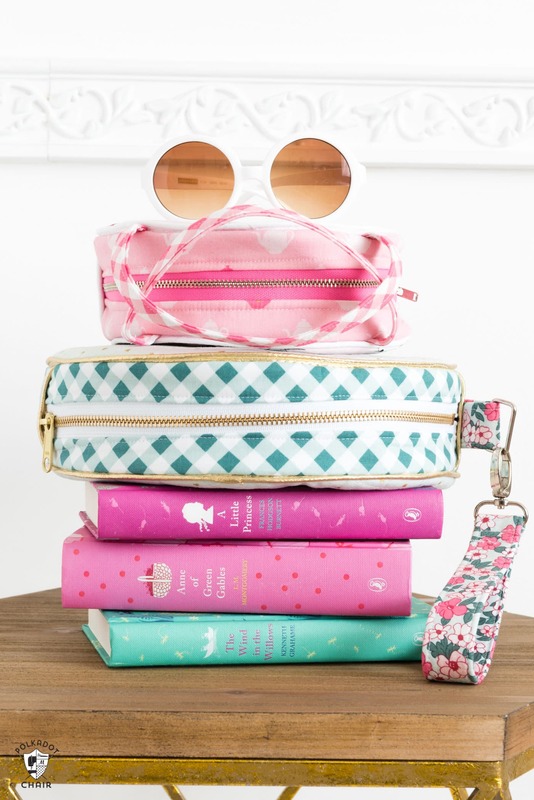 This bag looks adorable! 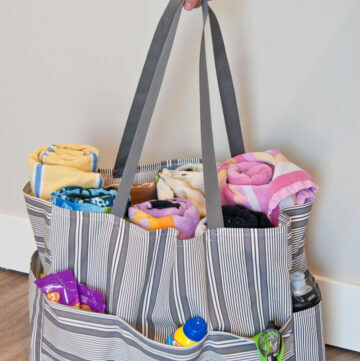 I’ve attempted circle bags in the past, and they fail miserably. 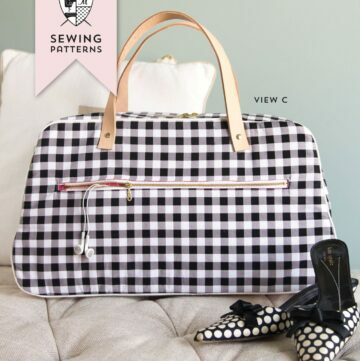 Is this bag easy to sew? Do you by chance have any pictures of the inside? Thanks! Actually the trick to keeping the circle shape as you sew is the piping. If you get it on right the first time it helps to hold the bag to the same shape through the whole construction process! The inside is lined, and the raw edges are finished with bias tape. 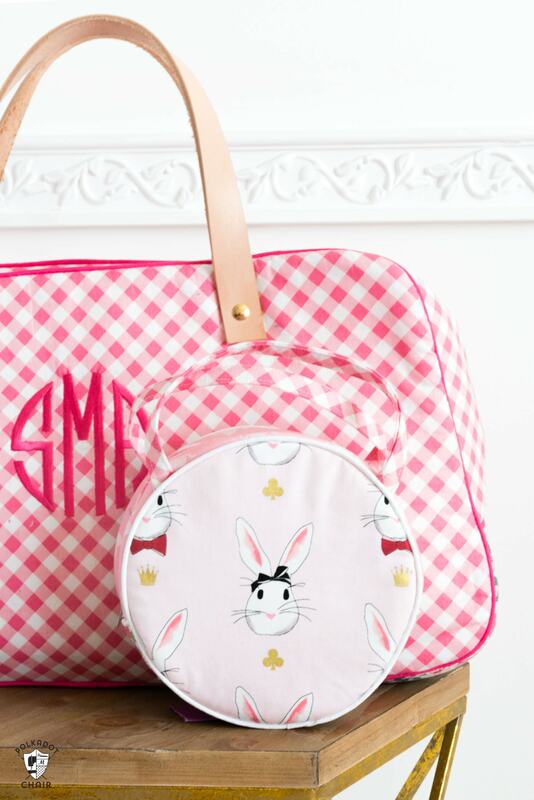 That bag is adorable. I love it! Thanks for sharing. I love your new bags! And I just ordered several different prints in your Wonderland Two line of fabric. 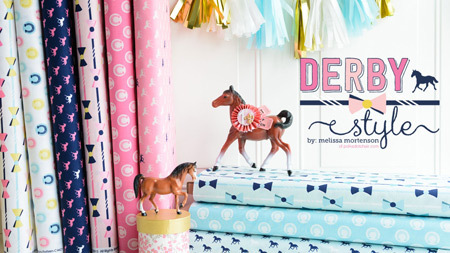 Cannot wait until my fabric arrives!